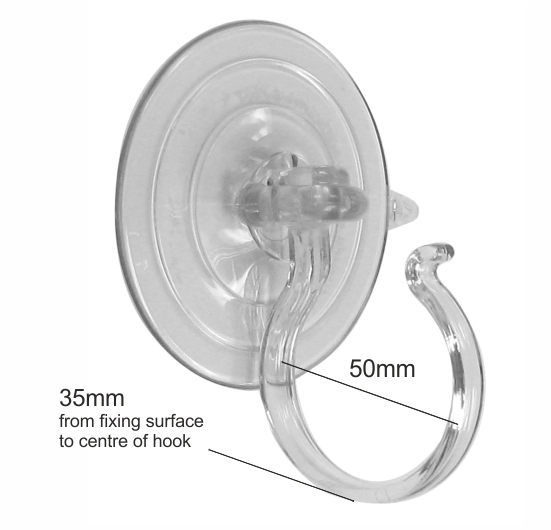 Heavy duty suction cups with large hook. Suction Cups Direct. Adams giant suction cups with large hook with an 85mm diameter are rated to hold up to 10 pounds (4.5kgs) and will fix to glass or clean, dry, flat, slick/shiny, non porous, non textured surfaces like mirrors, glossy plastic, glazed ceramic tiles etc. This heavy duty suction hook was primarily developed as a Christmas wreath hook for a smooth/shiny UPVC door or a window and so can be used indoors and outdoors. 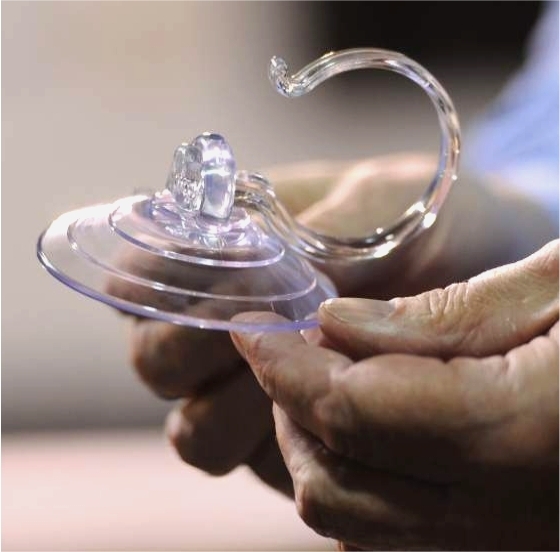 To remove or re-position, use the quick release tab on the suction cup edge to eliminate damage caused by finger nail picking.